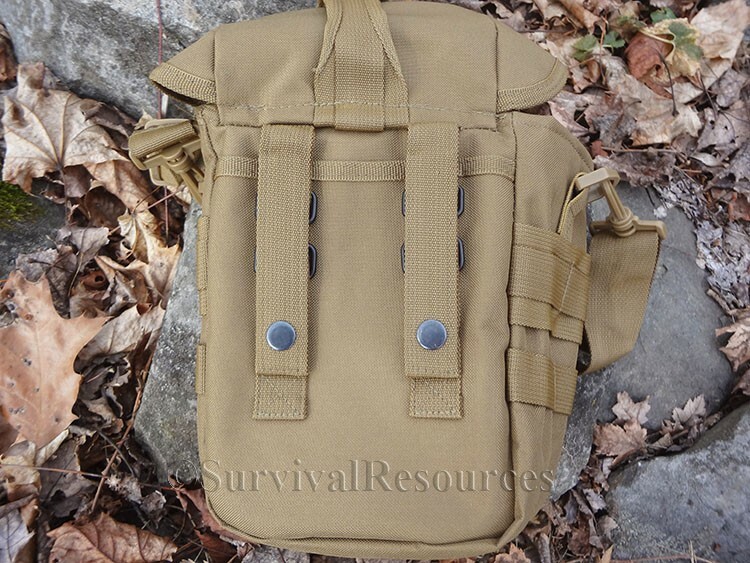 We have been searching for a long time to find a small shoulder bag that would allow you to carry any of your canteen or water bottle kits, and still have room for other gear. 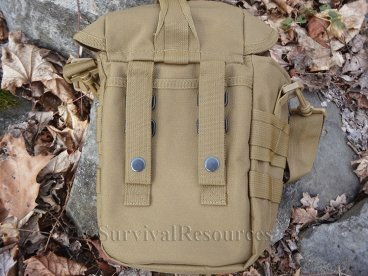 This is the bag we have been looking for. It is not too big, yet not too small. It holds all of our canteens and water bottles EXCEPT the Nalgene Silo Bottle. 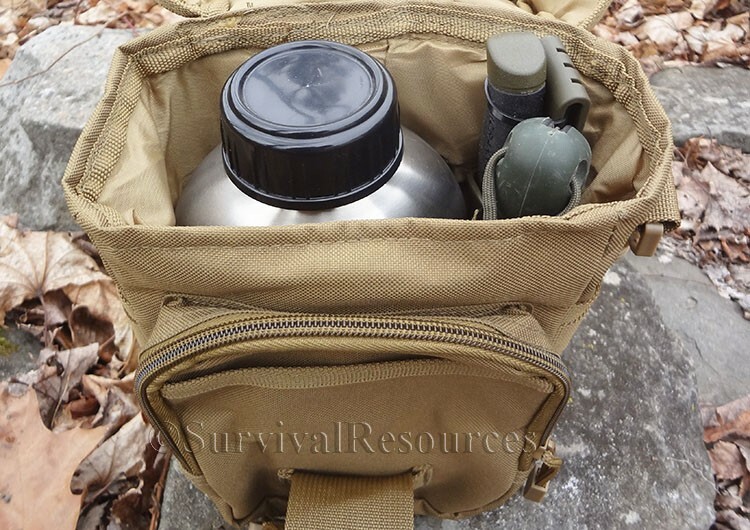 Our Canteen - Water Bottle Shoulder Bag is the perfect size for any outdoor adventure. 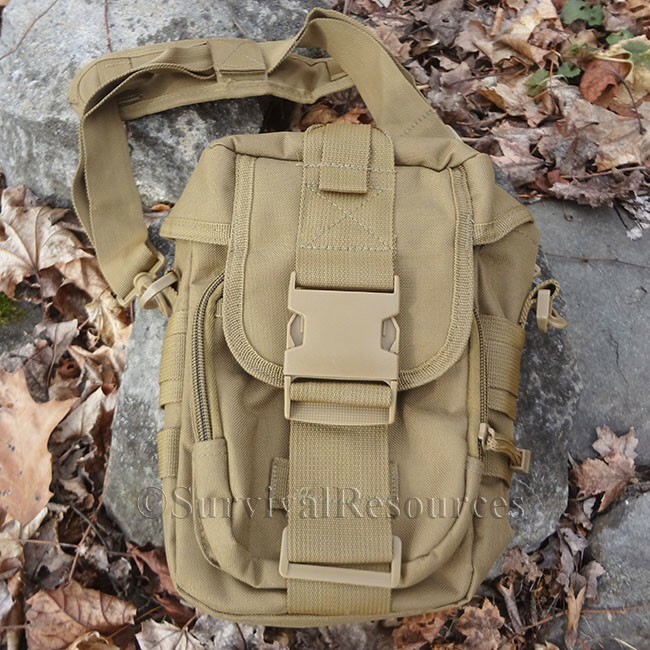 It measures 10" High x 6" Wide x 4" Deep, with a drawstring closure top and additional top flap closure with a quick release buckle. A sturdy carry handle is attached to the top flap for easy carry when not using the shoulder strap. 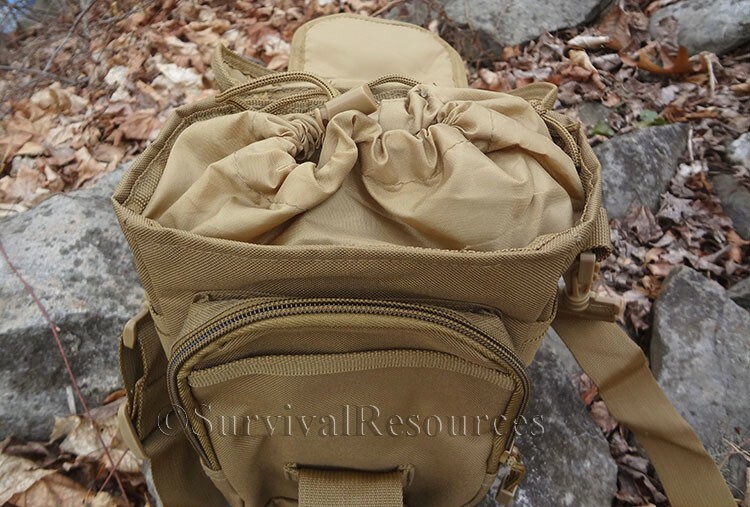 The interior of the bag features PVC lining and two inside slip pockets, one in the front and one in the back. 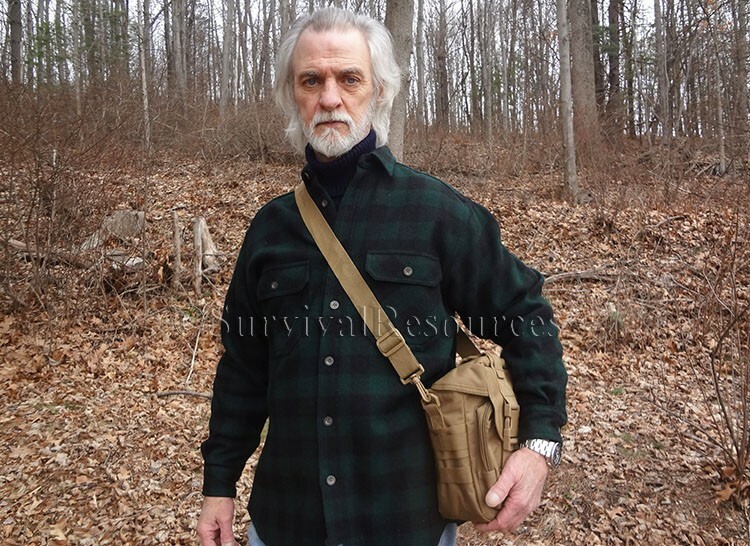 The front zippered pouch measures 7' High x 5,5" Wide x 1" Deep, and has a slip pocket on the outside front. There is PALS webbing on both the left and right side, and the rear of the bag has MOLLE straps. 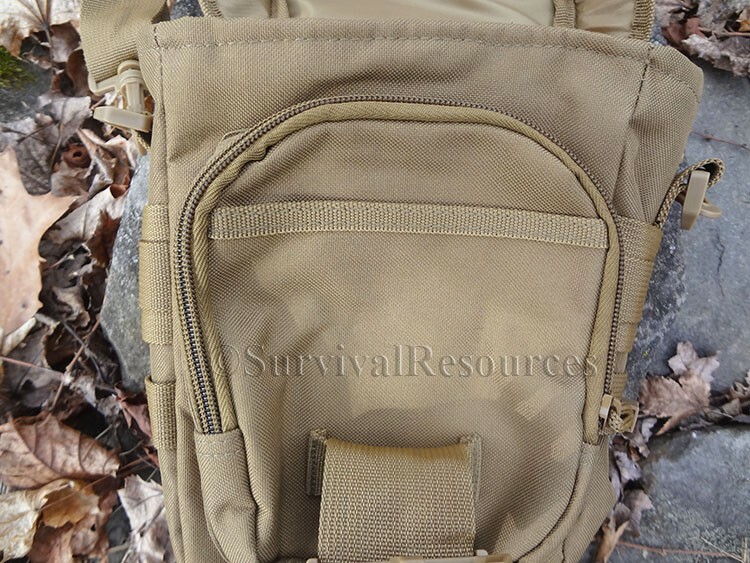 There is also a slip pocket on the rear of the bag. 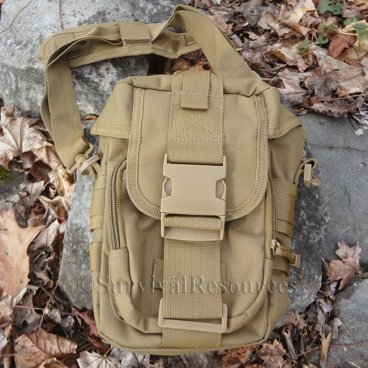 The bag includes an adjustable padded shoulder strap. The bag is constructed with 600 Denier Polyester. It weighs 15.3 oz. 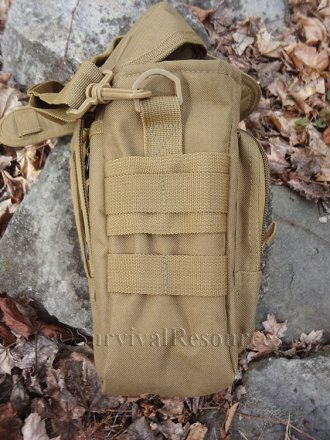 and is available in Coyote Brown, OD Green, and Black.